Microsoft introduced Office 365 Connectors, a brand new experience that delivers relevant interactive content and updates from popular apps and services to Office 365 Groups. Now its time for the feature to roll-out to first release customers and reaching GA shortly. 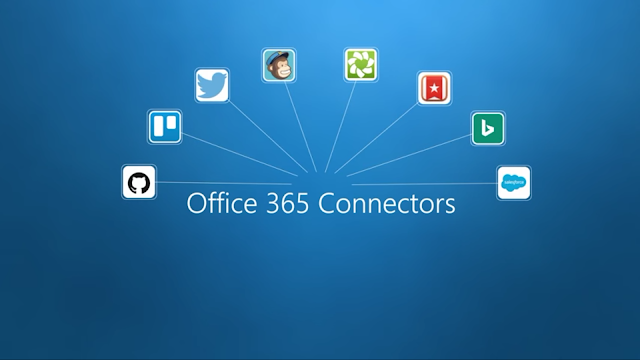 Connectors are easy to configure and makes your Office 365 Groups communication more effective. If your organization already has Office 365, you can use Outlook, Outlook on the web or the Outlook Groups mobile app to start using Office 365 Connectors. Ensure to join the YamJam hosted next month Thursday, April 14, 9–10 a.m. PT / 8–9 p.m. GT. in the Office 365 Network.